Eastern Mediterranean gas deposits are sparking a revolution in extraction and power generation development in Egypt. The 2015 discovery of the Zohr field by Italian supermajor Eni is projected to almost double Egypt’s proven gas reserves and dramatically change the country’s prospects. These shifts are evident in the construction of three enormous combined-cycle gas turbine power plants led by the German firm Siemens, which will allow Egypt to burn clean natural gas to meet its growing electricity demand. Each of these plants will be the largest in the world when they are constructed. 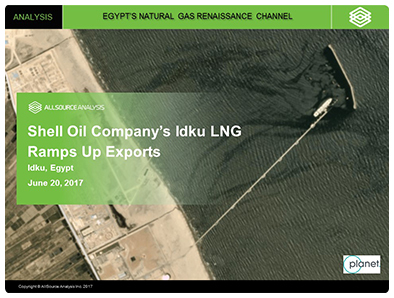 There is also a marked uptick of LNG cargo shipments from Egypt’s two export terminals, bringing much needed foreign currency into the country. And finally, Eni is constructing two new natural gas processing plants to service the Zohr field’s output, and the stated goal of starting production by year-end 2017 requires a greatly accelerated construction timetable for the plant.